Small business owner and performance coach Gerald Pauschmann and former eCommerce executive Barry Moore team up to teach you how to take control of your website and build your brand online. Through actionable, follow along tips and techniques and the use of case study examples, we provide you with everything you need to setup and grow your business online. With great clarity and breadth of knowledge, Barry & Gerald take people through steps to become a master of content online. With their tips and suggestions it should be possible to improve leads and sales. Get informed and inspired with practical tips and tools on how you can truly create the life you want- no strict diets or fad programs but smart savvy advice and inspiring interviews with your host The vitality coach Nikki Fogden-Moore. Author, Head trainer of Women’s Health and Fitness Magazine and corporate vitality guru, Nikki’s podcast is designed for people who do things with life. Join Nikki weekly on her show that focuses on the 3 pillars of true health, wellbeing and business vitality. Featuring special guest interviews for the Influencer Series, 360fit pros and top tips to get your goals off paper and into action in fresh food, fitness and a fresh perspective. Nikki’s podcast provides you an engaging tangible Vitality Road Map to achieve your personal best. I get some good information and motivation here. If you want to get fit and feel healthier, this is the podcast you need! Nicola cares about people who struggle with their health behaviors, and she knows what makes us tick. There is no quick fix. Just listen to this podcast and take it one day at a time. I love the vibe that is brought by this podcast! Easy to listen to and comprehend! What’s great about his podcast is how Chris breaks down the action steps to all of the above online ventures in a relatable way. This podcast is going to be powerhouse of great info that can be put to use. The show is put together professionally. 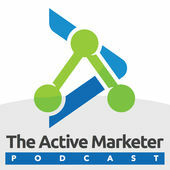 I can see this podcast becoming a solid resource for social media and the marketing industry. Welcome to The Recruitment Marketing Podcast with Denise Oyston and Sharon Newey! Marketing can transform the growth of your recruitment business and faster than most people realise. So join in now as we discuss how marketing can generate more clients and increase your talent pool. I really enjoy this podcast. Real life info that the average small business owner can use right away. Both Denise and Sharon are likable, smart and most of all the show is consistently engaging. It’s a fabulous resource for all the geekery surrounding using new media for marketing – all delivered in a conversational fashion. I can’t get enough of this show. The hosts have amazing chemistry and no matter what they’re discussing they make it interesting. James and Joel are brilliant as always. Awesome! They have a consistent source of good ideas and encouragement that you can get several ways. 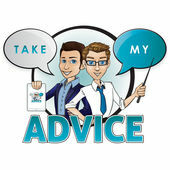 This podcast is quick hitters to give you a nugget and get you on your way. It is advice with substance that you can put to work right away. I personally have improved my sales from using their advice in my sales career. I encourage you to do the same. This podcast is positive and engaging. Great inspiration. Great information. Very easy to understand and follow. 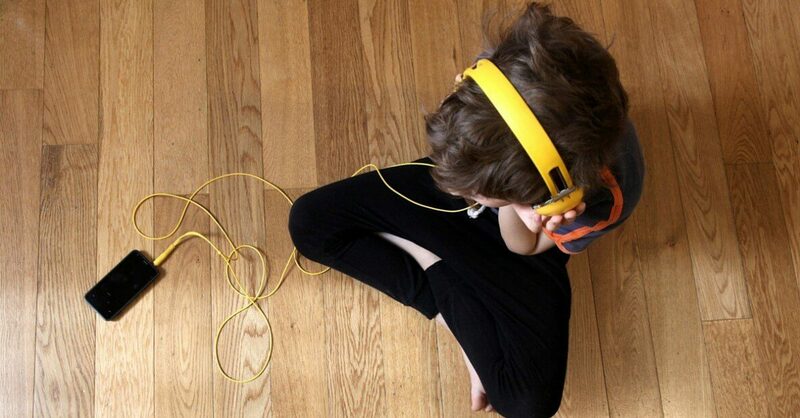 It offer practical advice and encourage listeners to make their next move. These shows are so valuable for artists in all ages. They cover great techniques to control with various brush sizes and weights for both the pastels and the smudges. You’ll learn how to control size and opacity to do perfect shading and blending. The color selection topic is awesome. Join Steve & Jason as they cover all things arts-related. Interviews with Directors, Writers, Actors & Producers. Discussion on how to be real with your acting and less “dramatic”! This podcast provides the most eclectic mix of programs in the world that stimulate, entertain and educate. They also put you in the right mood and mindset to listen to the stories. It’s an excellent podshow and I hope it sticks around for a long time. This is a minecraft podcast (minecast) for kids by 8 year old Minecraft expert SkillPunks. Each week Skillpunks will share everything Minecraft from tips of the week, which minecrafters to follow on YouTube, a week in Minecraft and a weekly challenge. Tune in every week and pick up ideas, creations and skills from the best 8 year old Minecrafter around. It is a good way to pass time. the audio is good and so is the video.If you are looking for information, fun laughs, and disscusion about minecraft then you’ve come to the right podcast. This is the funniest,and most informative podcast about minecraft! Worth checking out. If you are a global IT entrepreneur looking to profit from the opportunity offered by the cloud, join us each episode to learn more about how products like Office 365, Google Apps, and other cloud services can boost your IT services business and grow your bottom line. Unlike other programs, this one covers both technical and business topics as well as the feedback and experiences from a community of members devoted to helping each other move their business to new levels. 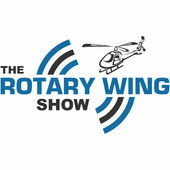 The show will take you from simply reselling products to creating successful offerings that customer want. It will show you how to position your business to move beyond the traditional services model and best of all it will inspire you with stories of those who are already succeeding in this new world of IT. Our aim is to show you how to progress from the basics of business to effectively utilizing all the tools that the online world has to offer all with the aim of generating you more profit and helping grow your business. If you want to learn how to compete more effectively in the new paradigm of the cloud, if you want to learn the secrets of business success in the online world, if you are looking to benefit from the experience and support of others, if you want to learn from the best in the business and most importantly, if you are looking to be inspired to take your business to new levels then this is the podcast for you. Great podcast that really gives you ideas to be more efficient and understand leading edge and tools for those who are only a little technical. Definitely gets the wheels turing. A really refreshing take on entrepreneurial strategies and ideas where you get a personal look at how people leading their industry use them. These guys have some great information for anyone interested in SEO and is definitely a voice to listen to when it comes to Small Business Marketing!I have used the techniques used on this podcast to enable my website to be placed on page one of Google, Yahoo and Bing. Interviews with inspiring people doing awesome things in business. This podcast is brought to you by Stephen Violi – premium digital marketing for business growth. This is a good, short, to-the-point business podcast covering a wide range of current small business topics. Ordinary people doing extraordinary things, whom have overcome limiting beliefs & major obstacles to go on and achieve lives of great abundance. Erase all Fears is inspired by Napoleon Hill’s 7 Basic Fears. What a great way to inspire someone and everyone to do what they want, to get out of life what they truly desire! Tons of great marketing content, top-notch marketing industry guests, all present in a smart but easy to digest fashion.This is one of the truly useful and informative podcasts available. The format and style is straight to the point. It is very insightful and real for people that are starting new companies, it supplies you with great ideas and helps you develop business models ideas. Learn how to rock your talk and biz into multiple six-figures and live the life of your dreams. Kristin ‘Rock Your Talk’ Thompson and friends will share their stories, tips, and strategies with you, to help you build a leveraged, rockin’ biz and life you love! Let’s connect more at www.SpeakServeGrow.com. I can’t say enough about this show and the amazing information and content it provides to entrepreneurs who don’t just want to be successful, but who also want to make a big difference in the world. Fantastic show! It has a unique way of connecting people and in a very non-threatening way she manages to guide them towards solutions to their issues, while making it completely relevant to thousands of other listeners who inevitably have the same issues or concerns. This podcast is completely different it’s simple and to the point on what you need to do to lose weight and get in shape. Very informative. Great interviews with fitness and nutritional professionals. It’s enjoyable to listen to and goes far beyond fitness basics and really gets deep into advanced theory and science. Raw Food and the athlete, Barefoot running and the benefits of correct running form. Raw food is not a religion, we debunk a few ideas about the 100% purity message from certain elements of the raw food cultists. We do beleive fruit is an athletes friend and the connection of the earth with our bare feet is one part of elements from the REM lifestyle design. Understanding the raw, energetic, mindfulness and developing a state of equanimity in your life is a strong platform to live life from. I found this podcast and really like the content! Well, I find raw-food-health to be the most well balanced. Thanks for the useful information. I love this podcast and eagerly await new episodes. Podcast Junkies was born out of a genuine interest in and curiosity for this growing league of podcast hosts. It’s hosted by Harry Duran. It features wide-ranging, authentic and sometimes candid interviews with this family of voices behind the microphone. The shows themselves cover a variety of topics such as Business, Finance Entrepreneurism, History, Comedy, Storytelling and more. Podcast Junkies explores the motivations behind the podcast’s inception and allows the listener to connect on a more personal level with some of their favorite hosts. These are insightful and cover a wide range of business issues, all of which I find interesting. Fun and entertaining! Welcome to the Five Numbers podcast, where we are going to discover the secrets to growing your business exponentially. So why the Five Numbers Podcast? Well because there are just Five Numbers that you need to focus on to build your business exponentially and it is by understanding these numbers and their relationship with each other that you get to discover the real power of business. Now you might say I hate numbers, I hate doing my books and that is why we are only concentrating on just five numbers – they go to the core of your business and why you do or do not make a profit. And lets be honest about it, that why we are in business. But are you going to be happy about a 10% increase in profits – to be honest with everything going on in your business, all the things that you have to do – a 10% increase is nothing to get excited about. What you are about to discover is how to double and triple your profits year on year. To achieve this you need a shift in your thinking about what is possible and to understand how these five numbers combine and feed off each other to exponentially grow your profits and the value of your business. Brilliant! The information so far has been great.Keep the episodes coming. A Must-listen podcast! Today’s most successful businesses know how to leverage from the internet to Generate More Leads, Build Customer Loyalty, Increase their Market Authority to ultimately, Sell More. 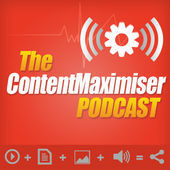 The Content Maximiser podcast talks everything involved to make it happen. Our topics range from content marketing, SEO, Mobile Marketing, Podcasting, Blogging, Social Media. We share with you awesome tools to give you maximum results. We interview experts in this online space to bring you the best minds to help you get more out of the internet, giving you the best ROI for you online marketing effort. If you have a topic you would like us to cover, simply email me at [email protected] and we will create an episode to answer you. This is a great show and very informative. Great internet marketing techniques, step-by-step tips, and are truly an inspiration. Entrepreneurs are going to love this show. A truly inspiring podcast. I love hearing every part of the show. It’s not only inspirational, but motivational. I recommend you give it a listen. 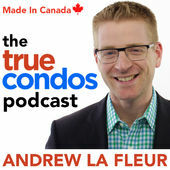 Founder of TrueCondos.com, and Toronto real estate agent, Andrew la Fleur interviews some of the most influential and prevalent people in the Toronto condo market. Get the inside scoop and best advice on how to start investing in the Toronto condo market. I learn a lot from it. This is highly recommended to those who really want to succeed in business. Great strategies and advice. Keep it up! 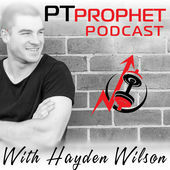 The PT Prophet podcast is an engaging interview series hosted by Hayden Wilson. This podcast explores the world of business development in the fitness industry and investigates the techniques used by the world’s most successful personal trainers and strength & conditioning coaches to help you maximise your profits. Learn about: – Online marketing techniques such as list building and distribution – Organic social media growth – Simple, intermediate and advanced website development – Video course development – Online Trainer management processes and systems Best of all it’s specific to the fitness industry. As Charles Poliquin once told me, You gotta learn to earn. So let’s do it. What a great podcast and great guy. I recommend highly. I learned so much valuable info from getting fit earning money and great online marketing techniques. 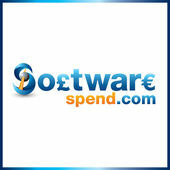 The SoftwareSpend podcast provides useful resources for anyone purchasing or managing enterprise software. Topics include: software licensing models, software asset management, negotiating with software vendors, contract language in software licensing agreements, carrying out sourcing projects for the acquisition of software licences, insights into software markets and career advice for software procurement professionals. Whether you deal with enterprise software regularly or only occasionally, this podcast will be of interest to you. I was well informed and learned something new. 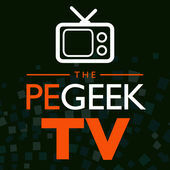 I highly recommend this show to Entrepreneurs who surely love software automation. Thanks for the information! 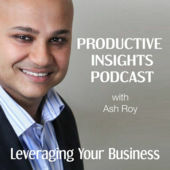 This podcast is for professionals and entrepreneurs who are looking for ways to leverage their existing business through productivity improvements, marketing automation and harnessing the world wide web. I find this podcast very useful and informative. I was purely captivated by the interesting discussion and information being shared. Great job. Barry Moore from TheActiveMarketer.com reveals sales and marketing automation strategies using such tools as ActiveCampaign, Drip, Infusionsoft and Ontraport. If you are still using tools like AWeber or MailChimp to nurture your leads and try to turn them into customers you are missing out on the real power of email marketing. The ability to get the right message to the right customer at the right time! We also discuss the latest techniques for successful email opt ins, conversions and sales funnels. Listen in to find out how to design, automate & scale your business to the next level. Hi, I’m SJ and I am here to empower and to educate Women in Business and Female Entrepreneurs on how to make Passive Income from Online Businesses. (With a little bit of investing talk too) We know there is no such thing as a truly 100% passive business or income, everything takes some kind of work. I don’t claim to be a “guru” and I hate anything related to that kind of scene and all of the sharks out there giving people false hope! (It makes me so angry…) However, I know there are ways you can set up your online business to be as passive as possible while still to getting great results and helping you live a life that you love! 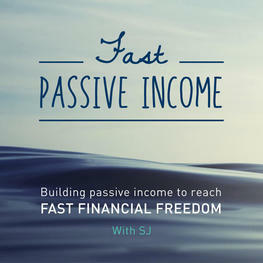 SJ will explore with you way you can set up your business to make it more passive income on and offline and allowing tasks in your business to take care of themselves. Some examples of these task and subjects; building passive income, affiliate sites, building a authoritative website, SEO Optimisation, reselling, different passive income streams, self development, business systems, market research, identifying markets, marketing structures, matching products to markets, passive income streams, tips on problem solving machine, business structures, systems and procedures, online courses, website presentation, how to set up your business to be a passive as possible to so you can work on and do the things you love. This podcast is ideal if you are women, you are just starting out or have basic knowledge of online business, would like to be part of a community of other like minded women. I stumbled across this podcast and found the information very helpful. I like that it gave me specific and additional info on getting an online business started from the ground up. If you want some great tips to help grow your business and brand then make sure to listen to this! Want to fast-track your business growth? Hosts Drew and Gordon tripled a business in the space of two years. They share an enthusiasm and obsession for innovation, creativity and technology and the ideas and information they share are all backed by real-life scenarios and interviews from industry leaders. Listen in as each episode; breaks down a question that they had to answer and tells you how to implement these strategies for your own business success. You guys are great at what you do. I personally find it very useful with a wealth of valuable information. I recommend this show to anyone starting a business or already has one. Keep up the great show! The Tradies Business Show is the very first podcast in Australia dedicated to the success of tradespeople in business. Covering topics such as marketing, sales, finance, cashflow, budgeting, human resources, team training, systems and procedures, customer service, business planning, branding, mindset, motivation, time management, communication, technology, online marketing, small business SEO and more, The Tradies Business Show brings together the expertise of Warrick Bidwell and Michaela Clark who come from tradie backgrounds themselves. Warrick comes from a family of builders, mechanics and construction workers and Michaela’s husband has his own plastering business. Both have also been working directly with tradespeople for the past 10 years to help small business owners such as builders, electricians, motor mechanics, plumbers and gas fitters, draughtsmen, boilermakers, cabinetmakers, pest controllers, concretors, landscapers, panel beaters, pool builders, arborists, roofers, carpenters, plasterers, fencing contractors, tilers, carpet cleaners, painters, plant operators, truck drivers, home renovation specialists and associated industries such as caterers, bookkeeping, accountants, finance brokers, debt recovery specialists, financial planners advertising agencies, human resource companies and more to create the lifestyle they seek. With their own brand of humour and practical business insights Warrick and Michaela are showing Tradies that they really can get off the tools and into true business ownership. I love the variety of topics. It’s packed full of incredible information and provides SO MUCH value. Highly recommended! This is a great podcast show. I find this podcast fascinating. I learned lots of useful info behind helicopter pilots and career paths. A great to listen! 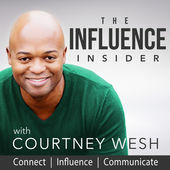 Welcome to The Influence Insider Podcast, where I interview experts of influence on how to create, grow, and leverage your influence to create professional and personal success. The show is consistently engaging. Tons of great information and communicated in a way that is relatable. Check it out for yourself and you will see. I love this show. This is definitely worth listening. Great tips and technologies on physical Education. 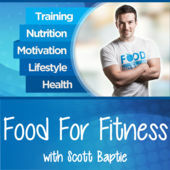 Scott Baptie from Food For Fitness shares his nutrition, fitness, lifestyle, cooking and healthy living strategies with you. If you’re looking for a simple and healthy way to get the body you’ve always desired that cuts out the guesswork then this show is for you. Scott has worked with hundreds of clients, from people like you to multinational companies and professional football clubs. He also contributes to wide range of fitness publications both as a writer and fitness model. Whether your goal is to improve body composition, lose fat, build muscle, develop sports performance or simply to learn how to eat healthier, you’ll love this Podcast! Scott and his guests deliver simple, effective, evidence-based advice that promotes ‘inclusion’ rather than unnecessary ‘exclusion’ or any extreme dietary practices. The result? A leaner, stronger, fitter you! This is an excellent podcast for anyone who wants to eat healthier. I liked the style and content of the presentation. This is great for all fitness levels and interests. 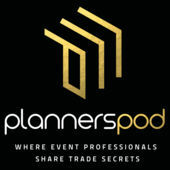 The podcast for top event professionals and anyone interested in event planning who wish to share real world experiences and cutting edge ideas, presented by Toby Goodman & James Eager from Metropolis Productions. We discuss everything from corporate parties to weddings, fashion shows to sports events, concerts to product launches. This is not just for event planners and managers but anyone who works in events – photographers to caterers, production companies to ticket vendors, artists/performers/promoters to record companies. I had a great time and learned a lot listening to this podcast. I discovered useful cutting edge ideas for event planning. I would definitely try these. Great Job! 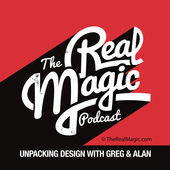 The Real Magic Design Podcast is where we try and unpack our experience to help designers and business owners understand how to create amazing designs and work together to make design that is profitable. With decades of creative and business experience Greg and Alan try and bridge the gap between designer, clients and the world of profitable business. If you are a designer they give you killer tips and ideas that that are used in their own successful businesses. They never forget the business owner that want to take the branding and design to the next level and guide them to profitable design. This is a must listen for anyone that wants to find that inner gift that you can use to bring income in. Lots of good valuable information in the world of successful business. A must listen show for every entrepreneur!